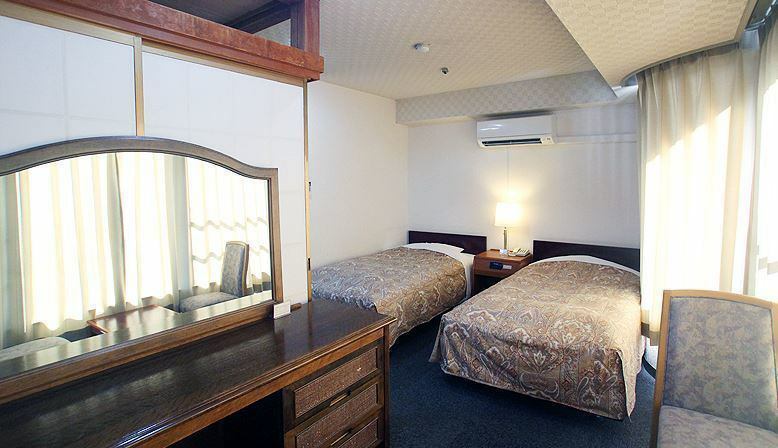 Twin bed (Western style room) + Japanese room 18 square meters room recommended for guests staying in families and adults, which can be spacious and relaxed. 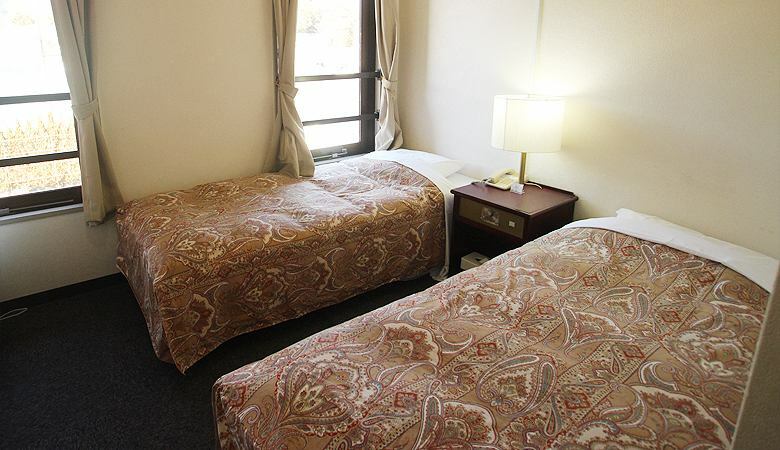 Fujisan rooms have views over Fujisan or Lake Kawaguchiko. 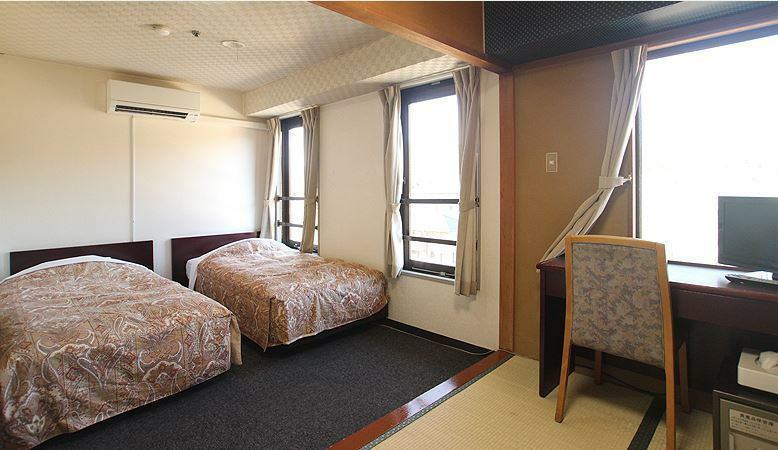 Twin bed (western style room) + Japanese room 5 square meters plus western style room. 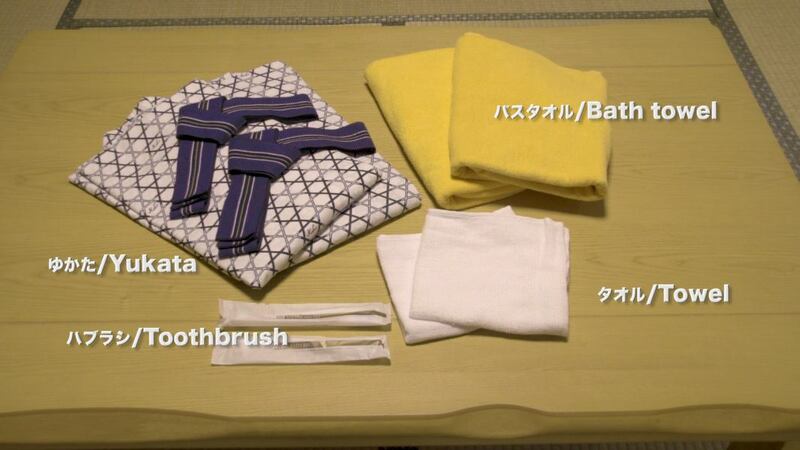 ※From this room you can not see the view of Fujisan and Lake Kawaguchiko.Please understand in advance. Western-style room with twin beds. ※From this room you can not see the view of Fujisan, Lake Kawaguchiko, please understand in advance.